Kyocera will begin full-scale production at its new Yasu solar cell manufacturing facility in Yasu City, Shiga Prefecture, Japan. The new Yasu Plant employs an enhanced manufacturing line, and will produce solar cells with a 16.9% energy conversion efficiency — one of the world’s highest for mass-produced multicrystalline cells. In order to meet expanding global demand, Kyocera is ramping up its annual production to 600MW this fiscal year — an increase of 50 percent over the previous fiscal year. 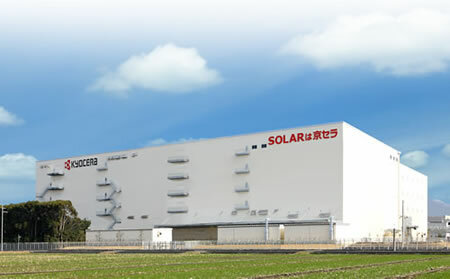 The new Kyocera plant, which was completed in March of this year and has already finished production line testing, is the largest of the company’s domestic manufacturing facilities, and will be producing the company’s highly-efficient multicrystalline silicon solar cells.